Numax Steels is one of the renowned & well known brand name engaged in Manufacturing, Importing, Exporting a wide range of Copper Sheets, Plates & Coils. 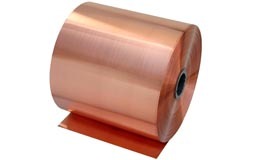 We ae also Suppliers, Dealers and Stockholder of copper Sheets,Plates & Coils. We produced premium quality range of Copper Sheets And Plates to our esteemed consumers under the expert guidance of our engineers and technicians. These are made by utilizing premium quality material. Our products are fabricated to meet international industry standards. These Copper Alloy Sheets, Plates & Coils are favored for its ability to give predominant heat transfer, thermal management and high quality in the included procedures. Copper is a strong yet ductile metal thus its products can be molded as per the requirement. They are corrosion resistant and highly durable in nature. 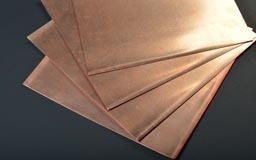 Apart from the above facts, we are considered as one of the leading manufacturers of Copper Products. 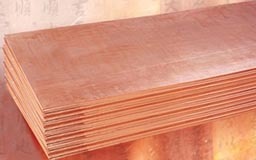 Copper Perforated Sheet, Copper Alloy Chequered Plate, Copper Sheet, Cupro Nickel Coils, Copper Foil Supplier & Copper Plates Exporter in India. Abidjan, Qatar, Cameroon, Jordan, Cairo, Uganda, Germany, Australia, Kampala, Mbuji-Mayi, Angola, Africa, Antananarivo, Democratic Republic of the Congo, Egypt, Yaoundé, Conakry, Maiduguri, Oman, Chine, Yemen, New York, Algiers, Brazzaville, South Africa, Giza, Peru, Luanda, Khartoum, Dubai, New Zealand, Johannesburg, Kaduna, Indonesia, Russia, UK, Nigeria, Trinidad and Tobago, Soweto, Thailand (Bangkok), Mexico, Bulawayo, Tunisia, Port Elizabeth, Omdurman, Italy, Algeria, Sudan, Rabat, UAE, Pretoria, Mogadishu, Dar es Salaam, Abu Dhabi, Ethiopa, Zaria, Sri Lanka, Kinshasa, Ibadan, Turkey, United States, Iran, Canada, Saudi Arabia, Vietnam, Kolwezi, Colombo, Maputo, Iraq, Alexandria, Cyprus, Houston, Accra, Lubumbashi, Argentina, Hong Kong, Bamako, Bahrain, Addis Ababa, Durban, Douala, Dakar, Ghana, Nairobi, Kano, Benin, Tripoli, Azerbaijan, Morocco, Lebanon, Kazakhstan, Harare, Fez, Israel, Freetown, Malaysia, Ouagadougou, Mozambique, London, Casablanca, Venezuela, Subra al-Haymah, Brazil, Colombia, Kuwait, Lagos, Port Harcourt, Singapore, Cape Town. Johannesburg, Zaria, Udgir, Kolwezi, Ouagadougou, Jaipur, Lagos, Accra, Mozambique, Bundi, Alexandria, Betul, Ghana, Douala, Tripura, Uganda, Cameroon, Benin, Abidjan, Puducherry, Kaduna, Hyderabad, Oman, Tripoli, Luanda, Kolkata, Delhi, Lubumbashi, Algiers, Andhra Pradesh, Manipur, New York, Singapore, Harare, Ahmedabad, Ambala, Mogadishu, Morocco, Sadar, Cyprus, Buxar, Khartoum, Thailand (Bangkok), Tadepalligudem, Pune, Mumbai, Ballia, Fez, Karnataka, Maputo, Dar es Salaam, Brazzaville, Nagapattinam, Conakry, Port Harcourt, Angola, Mizoram, Omdurman, Giza, Durban, Pretoria, Bhiwadi, Cape Town, Democratic Republic of the Congo, Lucknow, Yaoundé, Soweto, Dakar, Bulawayo, Subra al-Haymah, Suryapet, Miryalaguda, Nairobi, Mbuji-Mayi, Muktsar, Maiduguri, Kampala, Colombo, Bansberia, Benin, Algeria, Ethiopa, Kinshasa, Ibadan, India, Cairo, Chennai, Kano, Addis Ababa, Port Elizabeth, Yemen, Hong Kong, Casablanca, Baraut, Abu Dhabi, Surat, Kerala, Bamako, Maharashtra, Venezuela, Freetown, Qatar, Rabat, Bangalore, Antananarivo, Jordan, Russia, Jamalpur, Lebanon.